August 4th, 2013 | Faces of Wheaton. Sunday Sit-down is a weekly publication highlighting individual Wheaton employees, agents and drivers and the unique talents, interests and hobbies each has. The death of a loved one is arguably one of the most difficult situations a person can encounter. When the loved one is a child, it becomes almost incomprehensible. Grab a box of tissues and read on about the philanthropic work of Maggie Hist and the inspiration behind Aidan’s Book Corner. Baby Aidan lived in Community North’s NICU in Indianapolis, Ind. for eight days before he passed away. For Hist and her family, this single event began a lifelong journey of coping, accepting, and beginning the long and difficult healing process that goes with losing a loved one. Hist knew she wanted to do something to honor Aidan’s memory. Remembering the importance of books not only during her pregnancy but also during their time in the hospital, she decided she wanted to use reading as a way to remember her son. 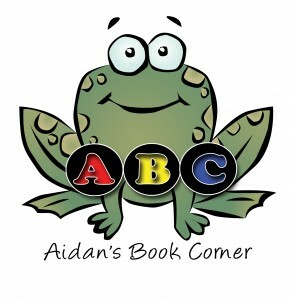 In the spring of 2012, Hist, with the help of the Bereavement Coordinator at Community North Hospital, began the process of creating what is now known as Aidan’s Book Corner. 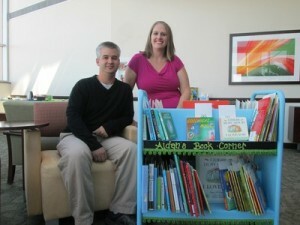 Aidan’s Book Corner collects new books to distribute and donate to families with babies staying in Community North’s NICU. On average, about 800 babies stay in the NICU every year, and Hist prides herself on providing a new book for each family. “It seems like such a simple thing, a book, but you wouldn’t believe how much comfort that can bring a struggling family,” Hist says. Aidan’s Book Corner might have started off small, but since its inception, it has grown tremendously thanks in large part to the generosity of the Barnes and Noble bookstores in Noblesville and Carmel, Ind. The bookstores chose Aidan’s Book Corner to be the recipient of their holiday book drive, collecting 2,000 brand new books to be given solely to Hist’s organization. In addition to Barnes and Noble’s donation, Hist and her family also started “National Aidan’s Book Corner Day” to celebrate Aidan’s birthday. Each year on February 1st, friends, family, and anyone else who wants to contribute is welcome to donate a new book to either Community North’s NICU or their own local NICU in honor of Aidan. Hist expects that the book corner will only continue to grow with time, a thought that brings herself and her family great joy. Maggie Hist has been working with Wheaton World Wide Moving | Bekins Van Lines for six years, always in the Government Services Department as a DP3 Move Coordinator. She loves the family atmosphere and culture at Wheaton and said that even after losing Aidan, she never felt alone at work. Hist and her husband have a two year old son named Lucas and are expecting their third child, a girl, in less than a month. In addition to working with Wheaton, taking care of her family, and heading up Aidan’s Book Corner, Hist is part of the Grief Support Team at Community North. She says her new passion is helping out other families who have experienced a loss similar to hers. 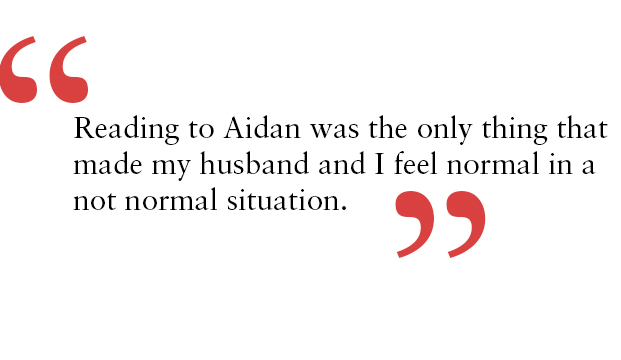 By working with Grief Support and operating Aidan’s Book Corner, she is able to keep her son’s memory alive.